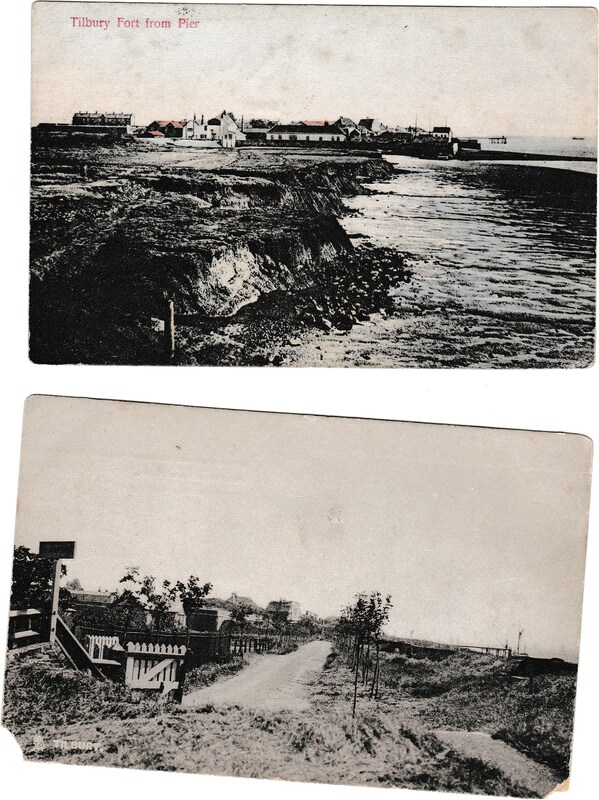 A couple of Tilbury postcards from 1907…………….they show Tilbury Fort to Pier and the riverside walk to the Fort. 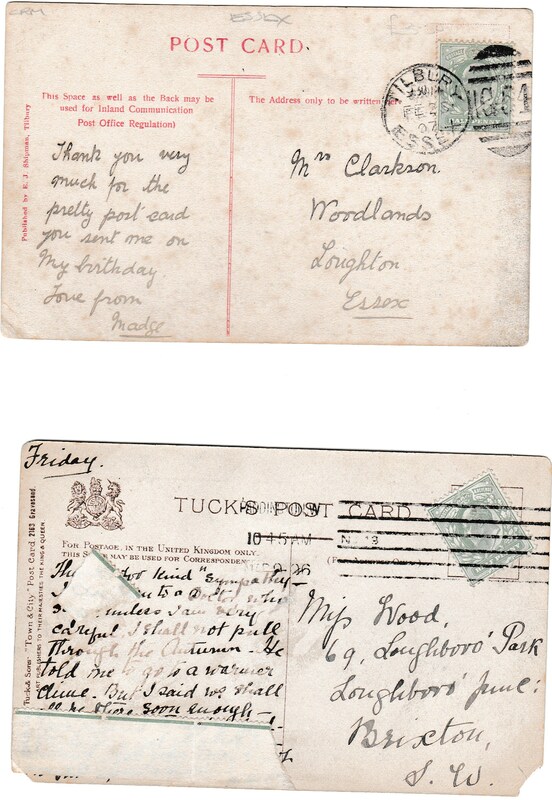 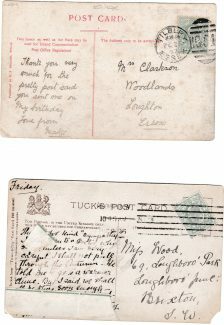 The back of the postcards have half penny stamps but sent to outside Tilbury. 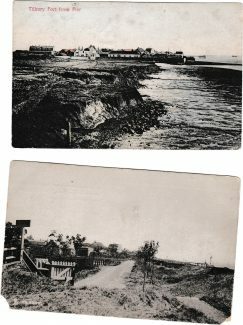 One is Loughton and the other looks like Brixton.